So it's quite the dark and dreary morning. It's beginning to sprinkle and I hope we get more than that, we are still behind on rain. 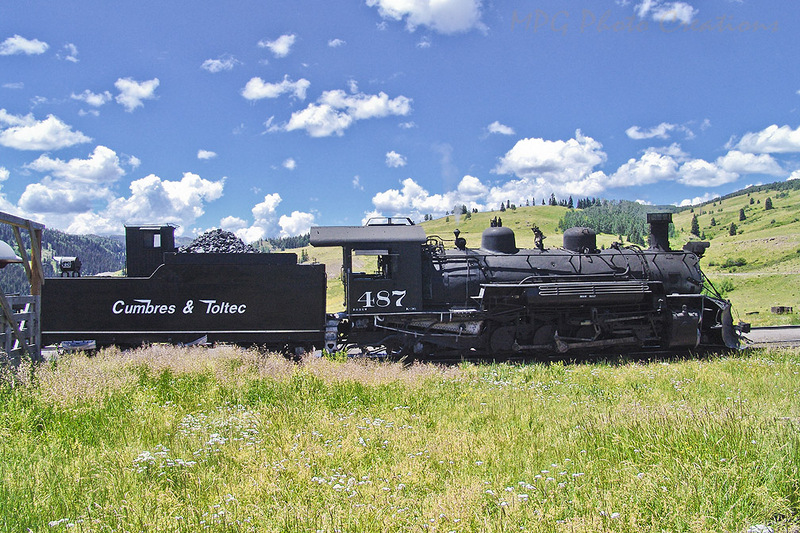 My image for today goes back to a lovely sunny summer day a while back and a trip on the Cumbres & Toltec Railroad. Here we were stopped at Osier Station for lunch and I took a shot of our locomotive #487 sitting and waiting with our train.